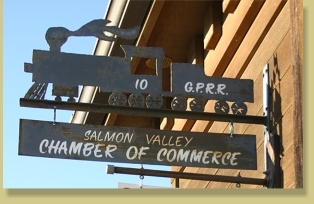 The Salmon Valley Chamber of Commerce is a business organization whose goal is to generate support for and promote the well-being of the businesses in the Greater Salmon Valley. When you join the Salmon Valley Chamber of Commerce, you're not only investing in your business, you're investing in our community. Read more about the benefits of membership. Business name, address, phone number, email address, and website will display in member listing on the website.